Home » Articles » POLL: Should Trump’s administration reinstate protection for migratory birds? POLL: Should Trump’s administration reinstate protection for migratory birds? Energy companies will benefit at the expense of birds, now that the Department of the Interior has limited how the U.S. Fish and Wildlife Service can enforce the Migratory Bird Treaty Act going forward. The MBTA has been interpreted to prohibit both intentional and incidental “takes” for a long time. “Takes” mean harm to birds that’s done either on purpose or as an effect of some other activity. But a new memorandum from the Department of the Interior has dropped any enforcement of incidental takes. Then, a month later, that opinion was “suspended pending review.” And months later, the December 2017 memo — Memorandum M-370501, or the “M-Opinion,” signed by Principal Deputy Solicitor Daniel Jorjani — completely reversed the earlier stance. 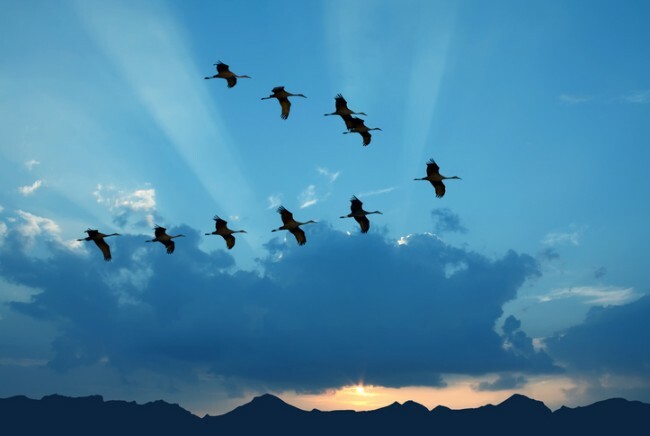 The USFWS, therefore, will no longer criminally pursue anyone for taking or killing migratory birds, if it happens coincidentally with actions that ostensibly had a different purpose. Let’s see how that plays out in the real world. FAQ #1(b): A homeowner knows that Chimney Swifts are nesting in their chimney. If the homeowner lights a fire and destroys the nests, is this considered intentional take or incidental take under the M-Opinion? The answer depends on intent. If the homeowner intends to light a fire to warm the house, no problem if the birds die or abandon their nests. If the fire is lit to get rid of the birds, it’s prohibited. Here’s the rub. That homeowner can be fully aware tha this fire will kill those birds. Secretly, that could be the whole point of lighting the fire in the fireplace. Unfortunately, so long as he can articulate a reasonable alternate rationale for the fire, he’s home free. Now extrapolate that concept to oil, gas, electric, solar, construction development and similar companies. These are the entities most often fined for MBTA violations in the past, according to the Washington Post. A full 90 percent of MBTA violation enforcement was carried out against oil companies, according to an Audubon Society analysis. 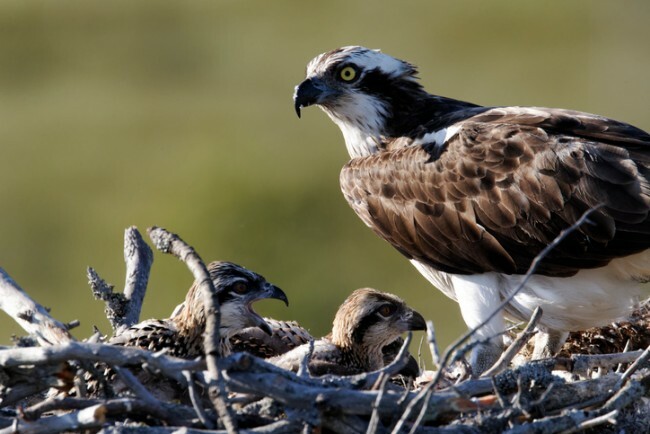 Power companies can take down active osprey nests on power poles, for example. It doesn’t matter if there are eggs, or even hatchlings, present at the time. If the purpose of doing so is to access the lines for power work, that’s the only rationale necessary. What they can’t do is first remove the nests in preparation for the work — the harm has to happen incidental to the actual work. That’s pretty easy to arrange, don’t you think? Destroy at will, everyone. You have nothing to fear any more, as far as MBTA criminal action is concerned. Another federal norm is scrambled like an egg, reversing decades of precautionary policy while rewarding, for example, the energy sector, comprised of those companies (anyone remember BP and Deepwater Horizon?) most likely to have been subjected to penalties under normal enforcement of the Migratory Bird Treaty Act, which turned 100 this year. If there’s anything positive to say about this development, it’s that we’re dealing only with an agency’s legal opinion — not with an actual change to the law itself. Interpretations vary. This one can change back again when a different administration is in charge. Is anyone surprised that the Trump administration is stepping in to change the way we’ve enforced environmental laws for decades in order to protect and promote industry? Big business cheers while the environment winces. Again. Urge President Donald Trump to reverse the U.S. Fish and Wildlife Service’s decision and prosecute energy companies whose inaction or negligence result in the death of protected species. 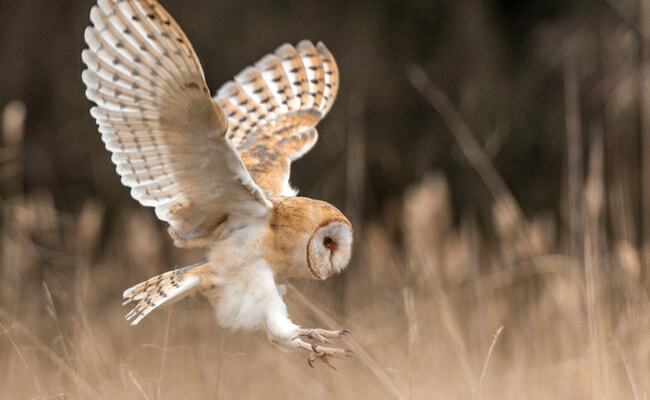 Add your name to this Care2 petition to protect migratory birds. First Published by Care2.com on 01 May 2018. KINDLY SHARE YOUR OPINION ON MIWILDLIFE, YES/NO.